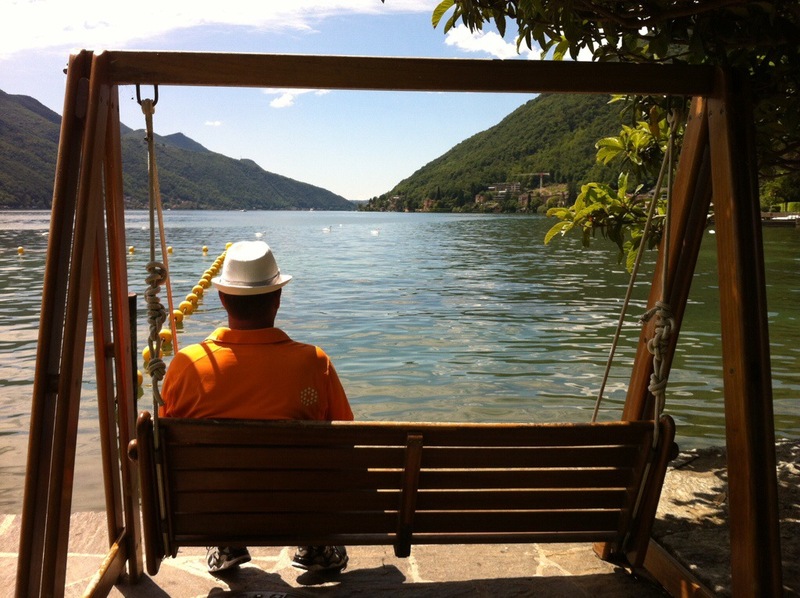 The weather forecast for the Lucerne area wasn’t very good so we decided to head south to the canton of Ticino which is in the Italian speaking part of Switzerland. 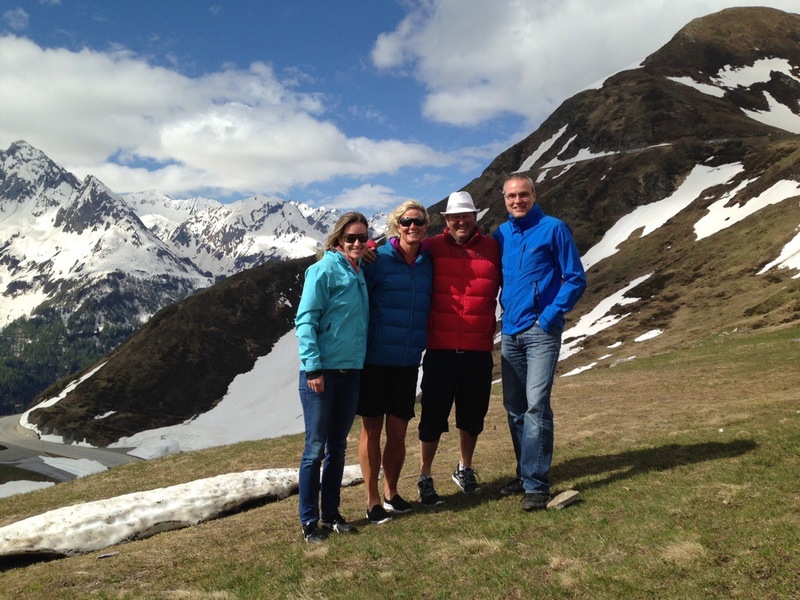 We went over the Gotthard Pass which was covered in snow and very low cloud. The Gotthard Pass connects the northern German speaking part of Switzerland with the southern Italian speaking part, along the route to Milan in Italy. The pass played a significant part in Swiss history back in the 12th and 13th centuries when structures were being built to get across this pass and take control of the various areas surrounding the pass. There were various bridges built over the years but the terrain and conditions that these men were subject to made it quite difficult – one of the bridges crossing the River Reuss was named The Devil’s Bridge. The legend of this particular bridge states that the Reuss was so difficult to ford that a Swiss herdsman wished the devil would make a bridge. The Devil appeared, but required that the soul of the first to cross would be given to him. The mountaineer agreed, but drove a goat across ahead of him, fooling his adversary. Angered by this sham, the devil fetched a rock with the intention of smashing the bridge, but an old woman drew a cross on the rock so the devil couldn’t lift it anymore. The rock is still there and, in 1977, 300,000 Swiss francs were spent to move the 220 ton rock by 127 m in order to make room for the new Gotthard road tunnel. 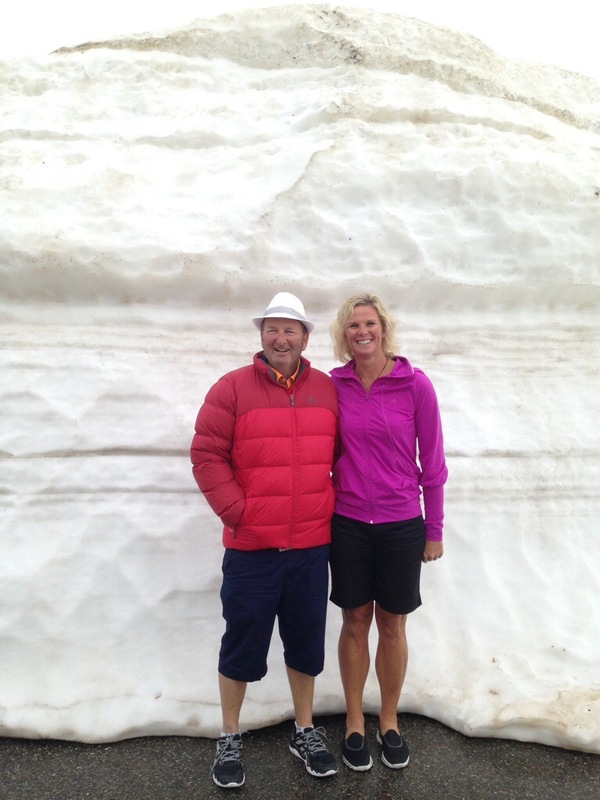 We stopped at the Devils’ Bridge to have a look – it was about 6 degrees with minimal visibility. As we came over the pass onto the other side blue sky and sunshine started appearing and the temperature rose markedly reaching 28 degrees after lunch. We stopped at Bellinzona which is the capital of Ticino. We had a picnic lunch up on the castle. 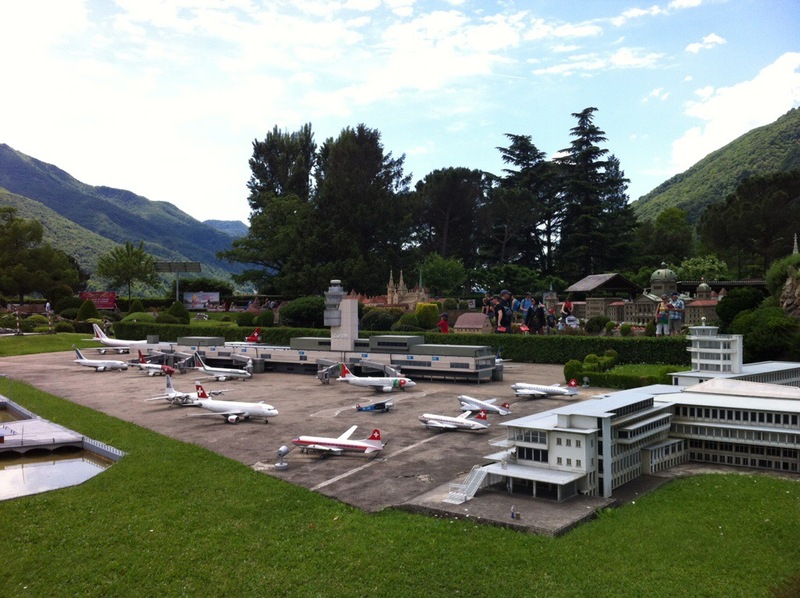 We then headed south to Melide in Lugano which is also in the canton of Ticino to visit the Swissminiatur. 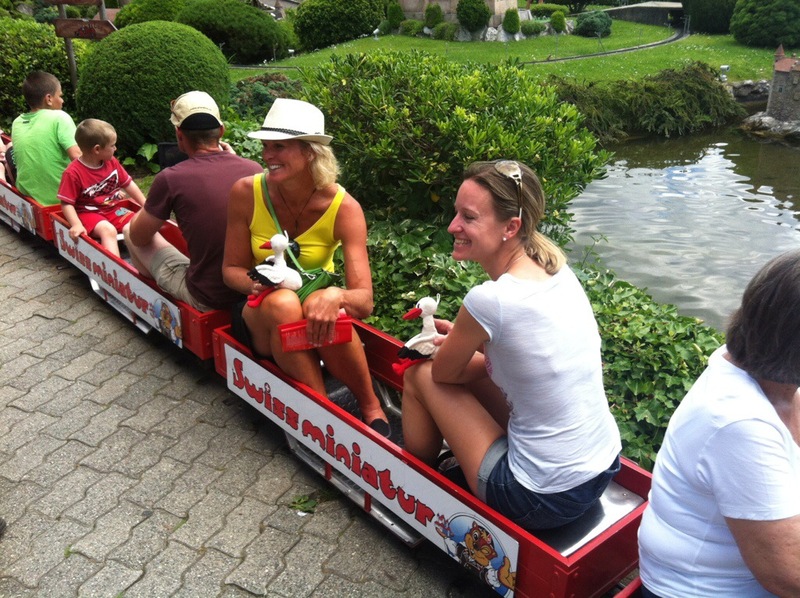 Swiss Miniature is Switzerland on a smaller scale. There are 130 models of houses, castles and monuments in the open air, distributed throughout the 14,000 square meter park. The models have been recreated authentically – with great attention to detail – and are surrounded by thousands of plants and flowers. 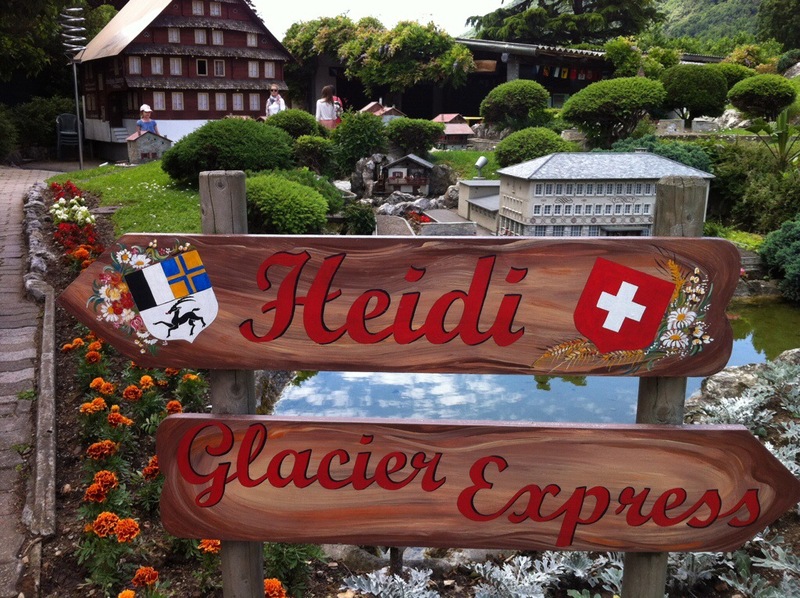 The Swiss Miniature in Melide, which was opened in 1959, is the only miniature park in Switzerland. 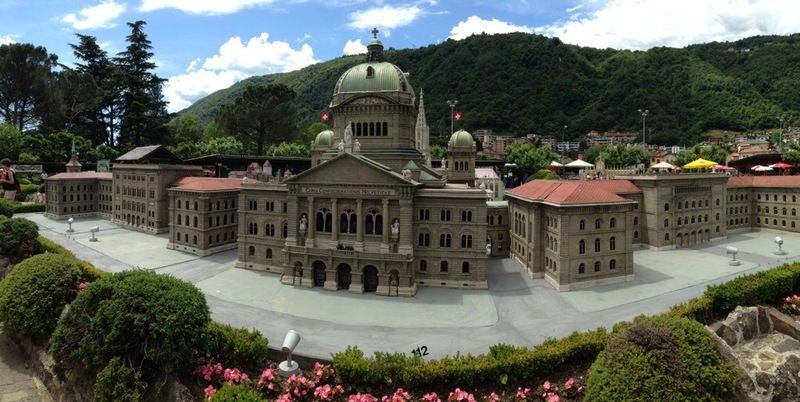 The detailed and authentic models include well-known sites such as the Heidi Village in Maienfeld, the castles of Burgdorf and Chillon, the Federal Parliament in Bern, and the Cathedral of Milan, the only model that can also be viewed from inside. 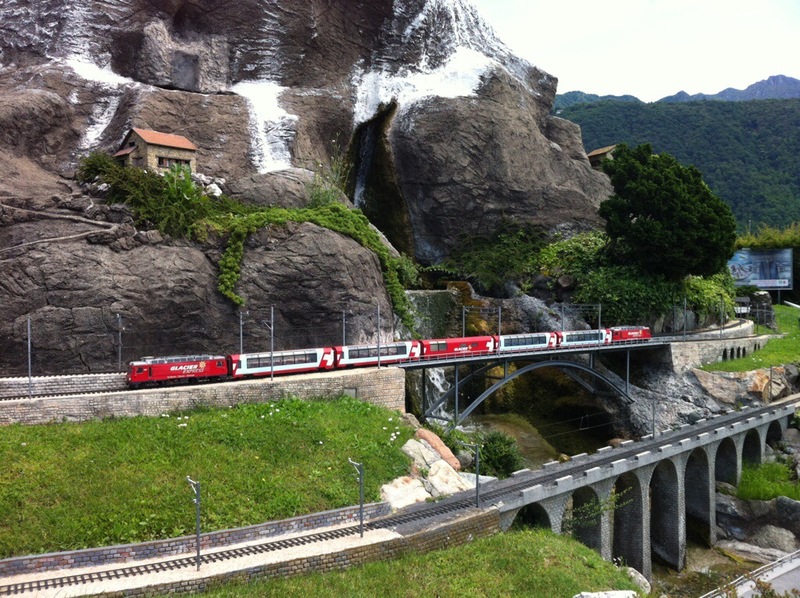 Eighteen model trains travel between the buildings on approximately 3.5 kilometers of tracks. There are also operating rack-railways, cable cars, suspension railways and ships. 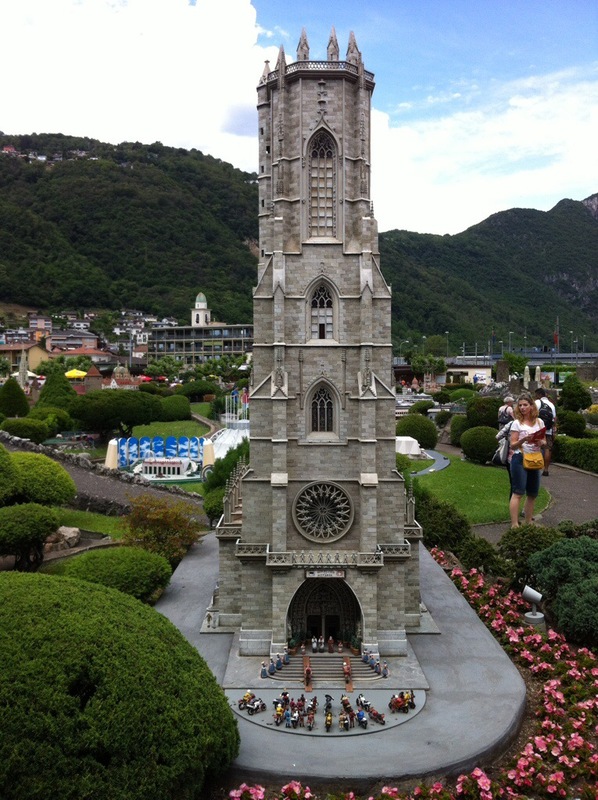 Swiss Miniature is also a visual delight, since its models are surrounded by 15,000 flower species and over 1,500 trees. 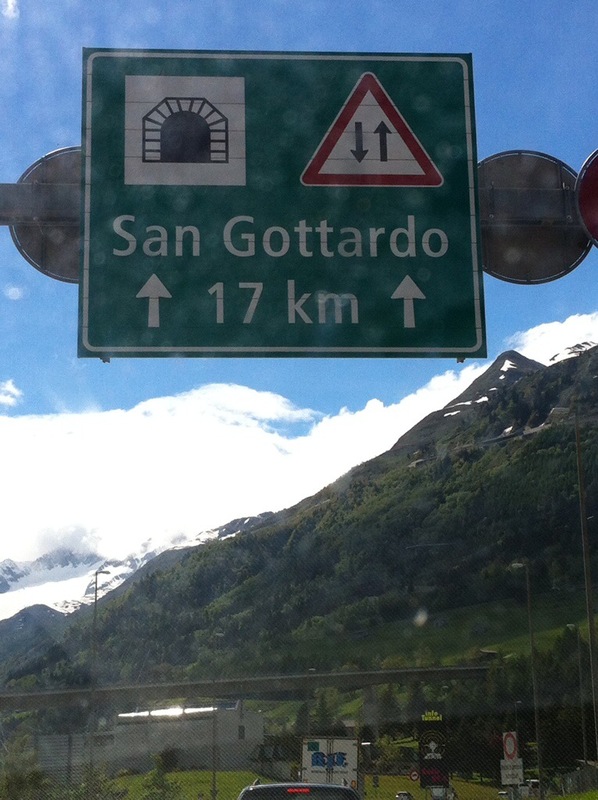 We then headed north again but this time we took the St. Gotthard Tunnel. The St. Gotthard Tunnel runs from Göschenen in the Canton of Uri at its northern portal, to Airolo in Ticino to the south, and is 16.942 kilometres (10.527 mi) in length below the St. Gotthard Pass. It is the third-longest road tunnel in the world after Norway’s Lærdal Tunnel (24.5 km), and China’s Zhongnanshan Tunnel (18 km). In response to the automobile boom in Switzerland and the popularity of Italy as a travel resort, the Swiss government gave approval in July 1969 for the construction of the 16-kilometre Gotthard Road tunnel. The tunnel would be longer than any existing road tunnel, and would provide year-round road link between central Switzerland and Milan to be used in place of the Gotthard Pass. The now widely used motorway tunnel was opened on September 5, 1980. 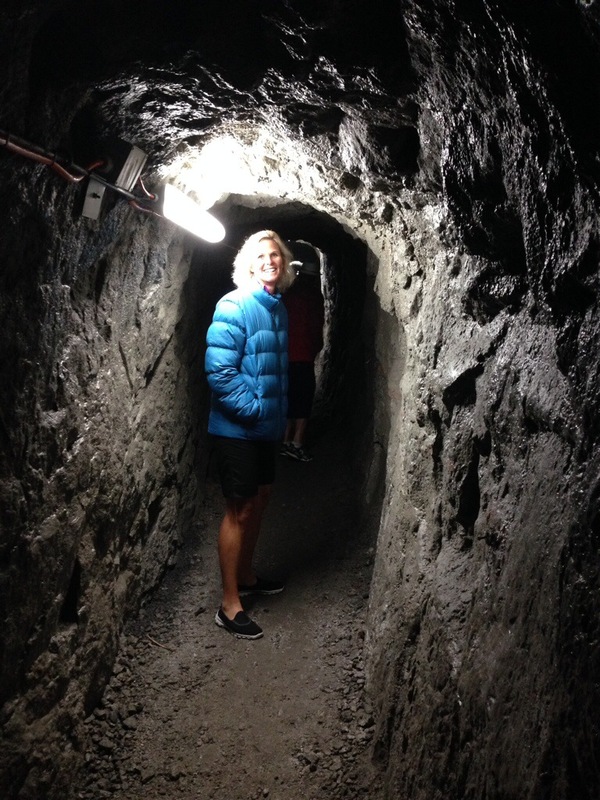 It remains a single bore tunnel with just one lane operating in each direction. It has four large ventilation shafts and an additional side gallery between 10 and 18 metres from the main tunnel, having its own independent ventilation system in order to facilitate the cutting of a second tunnel, should future traffic levels require it.